Hang on to your hats folks! 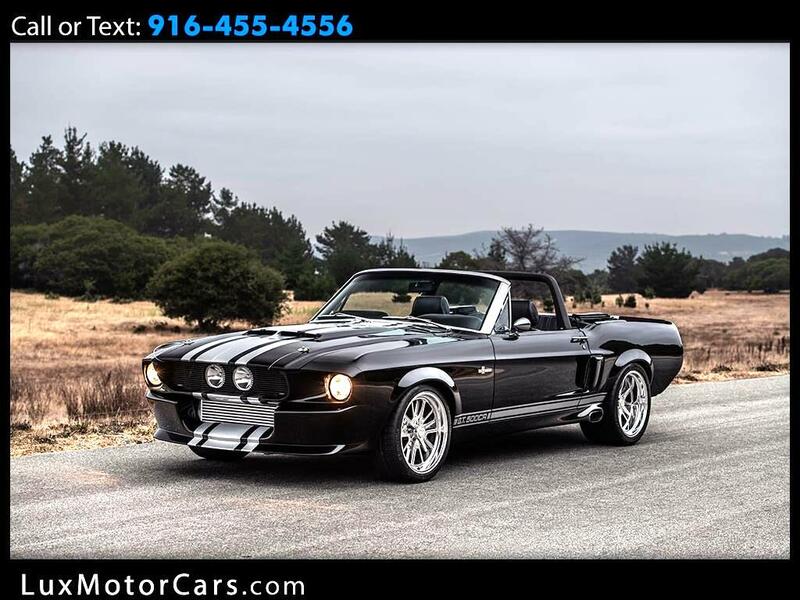 Offered for sale is an absolutely spectacular Shelby GT500CR Convertible. Builder Jason Engel of Classic Recreations is doing a limited production run of this extremely special Shelby, this car will be 1 of 10 ever made and if you want one you’ll have to be patient because the wait is getting longer every day. Classic Recreations built a serious dream machine with this reimagined GT500. Each Shelby GT500CR Convertible is hand built at Classic Recreations facility in Oklahoma and comes equipped with modern amenities such as authentic Shelby Performance Parts, rack and pinion steering, race inspired suspension, over-sized disc brakes, and more. Each build starts with an original 1967 or 1968 Mustang Convertible and is completely transformed after getting treated to a complete restoration including media blasting, sheet metal replacement, and show winning paint and body. Each authentic Shelby GT500CR Convertible will be listed in the Shelby Worldwide Registry. Message: Thought you might be interested in this 1967 Shelby Mustang.